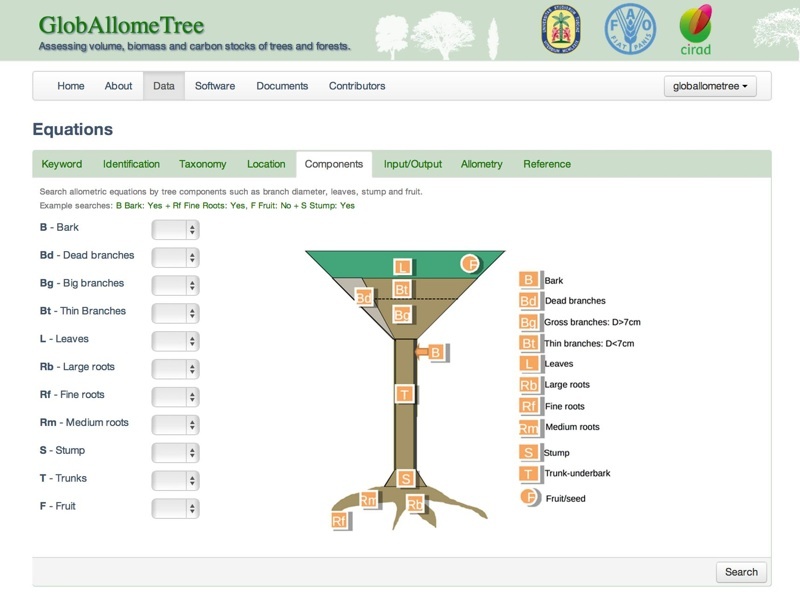 GlobAllomeTree is the first international web platform for tree allometric equations useful in determining the carbon density of forests. 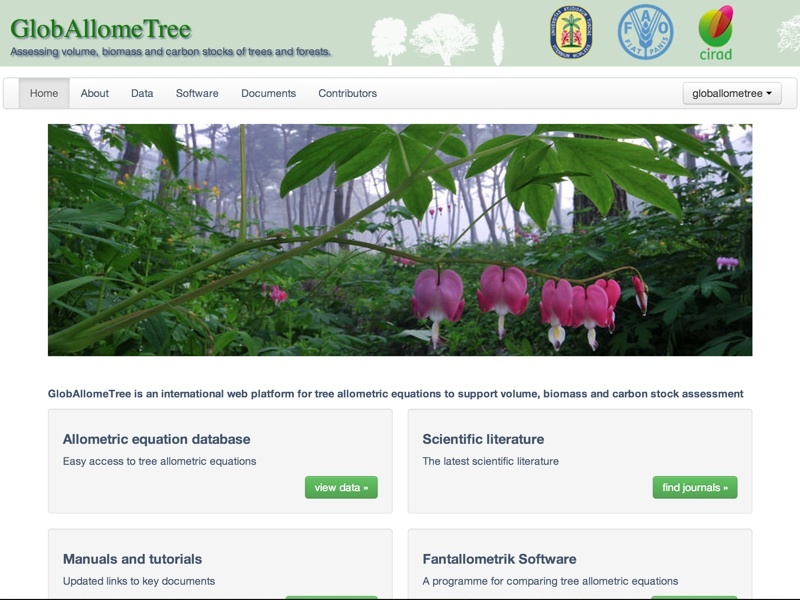 GlobAllomeTree provides allometric equations for 57 (so far!) 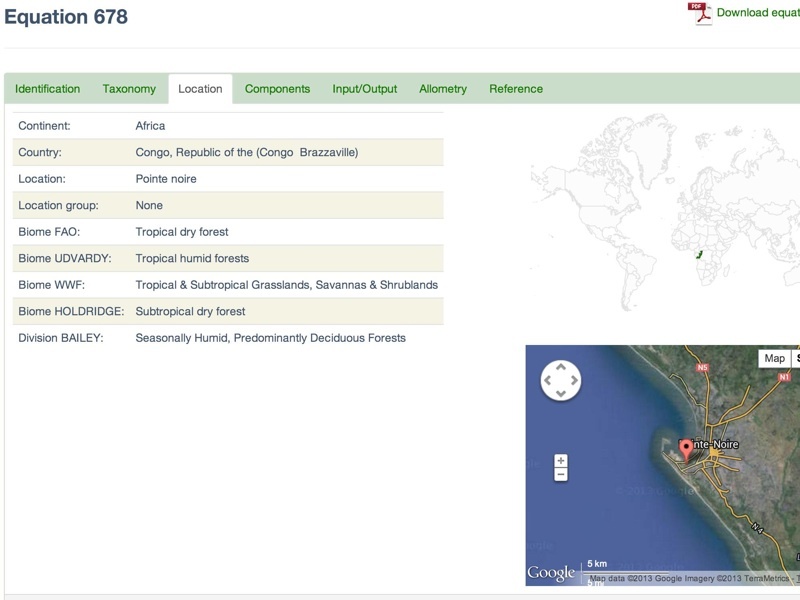 countries worldwide, from boreal forests to tropical rainforests. 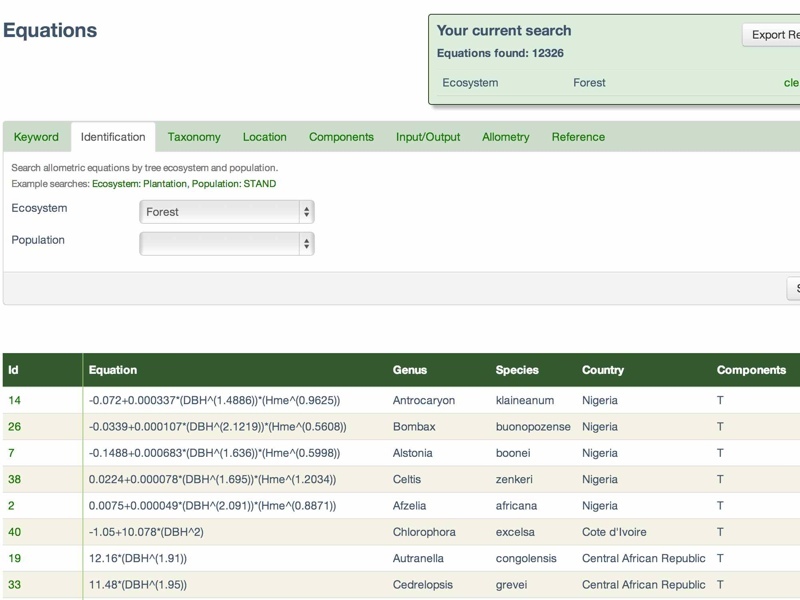 The site uses Elasticsearch and Backbone.js to allow fast searching of a PostgreSQL relational database. We are using Docker for development and deployment environments. 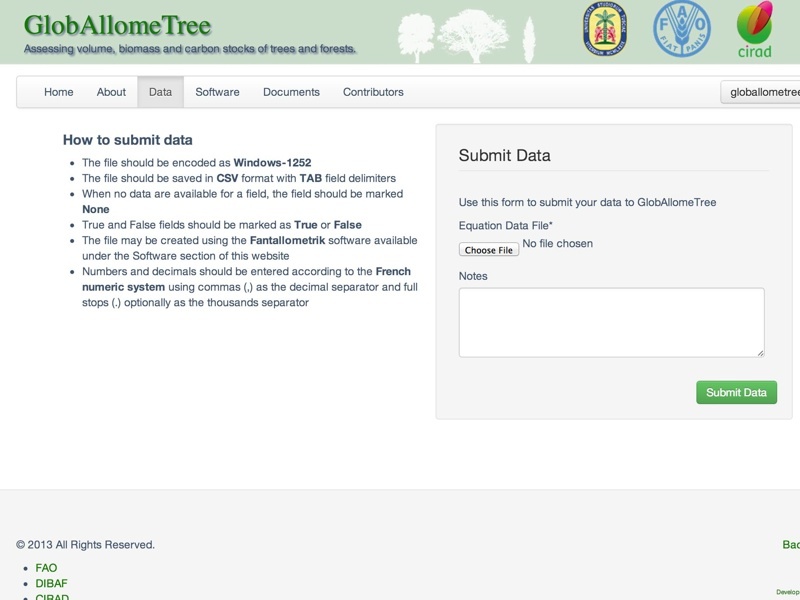 The products provided by GlobAllomeTree are continuously updated and peer-reviewed. It builds upon the convening role and technical expertise of the Food and Agriculture Organization of the United Nations (FAO), Agricultural Research for Development (Centre de coopération internationale en recherche agronomique pour le développement-CIRAD), and the Department for Innovation in Biological, Agro-Food and Forest System (DIBAF) at Tuscia University (Università degli Studi della Tuscia-UNITUS). Thomas Gruner and his company Orangutan Interactive is principally responsible.